The Ondo State Government monday approved the appointment of Prince Kole Aladetoyinbo by the kingmakers as the new Deji of Akure land. The approval of the government was contained in a statement by the Commissioner for Information, Kayode Akinmade, disclosing that the appointment was ratified by the state executive council. He said the approval followed the unanimous decision of the kingmakers to elect Aladetoyinbo among other contestants to the vacant stool at their meeting of June 7, 2015. 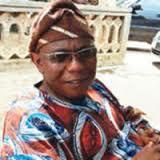 The commissioner said Aladetoyinbo would be presented with the staff of office in a date yet to be announced. The late Deji of Akureland and the Chairman of the Ondo State Council of Obas, Oba Adebiyi Adesida, died at the age of 63. He reigned for only three years having ascended the throne in 2011. Protest however greeted the kingmakers’ selection of Prince Aladetoyinbo of Osupa Ruling House as the Deji of Akure yesterday. As early as 8a.m., some indigenes and market women of the ancient town staged a protest to call on the state government to reinstate the deposed Deji of Akure, Oluwadare Adepoju Adesina. The protesters who walked from Akure city hall to the governor’s office, Alagbaka, also demanded that the enthronement of Aladetoyinbo as the new Deji be discontinued immediately to prevent undue instability in the town. The placard-carrying protesters stormed the governor’s office chanting slogans against the Deji-elect. Some of the placards carried by the protesters read; ‘Mimiko: bring back our Kabiyesi’, ‘Kole Aladetoyinbo is a bald headed man: he can’t become Deji’, “Iroko saves Akure from Fasonranti, Falae, kingmakers’ among others. One of the demonstrators, Mrs. Adero Adebayo, said market women would not accept anybody except Adesina, while another protester, Prince Dapo Adepoju, lamented that the selection of a new Deji when the deposed monarch was still alive, violated Akure culture and tradition. The spokesman of Akure kingmakers and Asamo of Akure, Chief Rotimi Olusanya, insisted that nothing could stop the installation process and performance of the traditional rite for the new Deji.